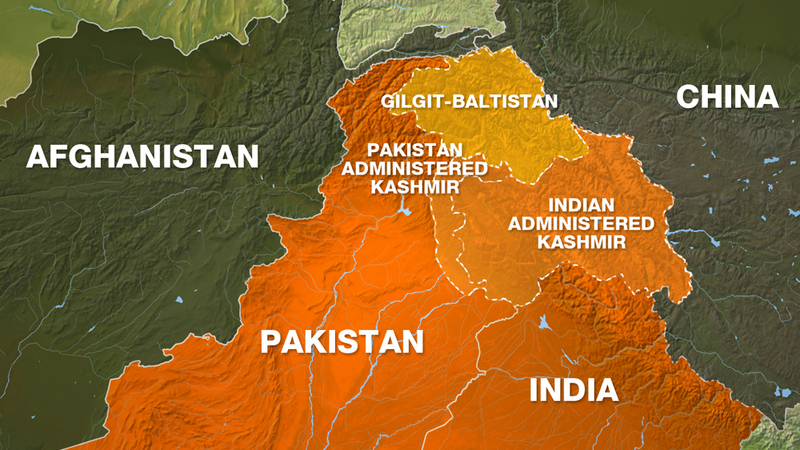 For millions of common Indians, Pakistan occupied Kashmir (PoK) functions like a province of Pakistan. It is guessed that nearly 4.5 million PoK habitants happily agree to any proposal from the Pakistan government in Islamabad. With the proximity of religion, the people of PoK seemingly feel comfortable with the Islamic Republic. But slowly the myth has started losing its ground. Few recent uprisings in PoK’s capital Muzaffarabad against the Pak government have shown the anxiety of locals. The media in PoK highlighted the people’s anger against the Islamabad regime, even though the Pak media preferred to remain reluctant to cover those demonstrations. Gilgit-Baltistan) by Pakistan. Presently Islamabad is thinking about reorganizing the territory as a full-fledged province of Pakistan after Balochistan, Khyber-Pakhtunkhwa, Punjab, and Sindh. Hence the demonstrators in PoK (or AJK) always raise voices against the Pak government, even though AJK is not represented in Pakistan’s National Assembly. Though initiated with various reasons including protests against the hydroelectric dam over Neelum river, shrinking of job opportunities and anti-people activities by both State & non-State actors, the inherent demand remains political liberty from Islamabad. Similarly, a number of protest-demonstrations in September across PoK highlighted the interventions over Neelum apprehending the shortage of drinking water in Muzaffarabad locality. The demonstrators expressed anger against Islamabad for misusing the local resources. Massive protests were also observed in July at Rawalkot locality raising voices against Islamabad’s aids to anti-India terror activities in PoK. The protesters accused various Pak authorities (including ISI) of providing support to terror groups like Lashkar-e-Toiba and Jaish-e-Mohammad. It may be noted that the hilly region has very little non-Muslim populations. Even before the partition, there were only a few Hindu families. Whoever left they were forcefully converted into Islam and the temples were demolished. The pathetic story of Kashmiri Pandits, who had to leave their ancestor’s village because of Muslim aggression, narrates a part of the history. The visibility of Pandits in Kashmir declined from 10% in 1947 to less than 1% today. Muslims) prefer to identify themselves as Kashmiri first,” asserted the young editor. Answering queries from Guwahati scribes about any visible change of perception after legendary cricketer Imran Khan becoming the Prime Minister of Pakistan, Qadeer commented that it is too early to get the impression. He, however, stated that the PoK residents would have little expectation from the new regime in Islamabad. Around 10,000 survey forms were distributed across PoK for many years questioning whether the dwellers want the position of Kashmir in 1948 is restored. Most of the participants made it clear that they are Kashmiris first. Soon after the newspaper published the tedious survey report, the authority got into actions. The irritated Pak government (read Pakistani military) promptly sent a notice to the editor, but when Qadeer did not bow down, the local authorities sealed his office on 12 September 2017. As the ban still continues, Qadeer now contributes news-features for various other media outlets for survival. For any reason, he does not see any hope for a change of hearts by the Pak politicians and military officials in Rawalpindi. It may be noted that most of the issues concerning PoK residents are not highlighted in the media as the vernacular newspapers remain week and a majority of newspapers, circulated in PoK, are actually Kashmir editions of various Pakistan based media outlets. As for news channels, which are mostly cable operated, there is almost zero visibility of any India based news channel in PoK. Amidst all difficulties, Qadeer emphasized more people-to-people contact and exchange of ideas between all parts of Kashmir for greater regional understanding and meeting of minds. He definitely deserves appreciations for his ambitious proposal, but the question that arises if New Delhi along with Islamabad and Beijing would listen to his candid call!